James Kelman has long been regarded as one of the finest writers of fiction in the world. Born in Glasgow, Scotland in 1946, he has won numerous awards, accolades and prizes including the James Tait Black Memorial Prize for his novel A Disaffection; also shortlisted for the Booker Prize, which he won in 1994 with How late it was, how late. Mr. Kelman continues to be a huge influence on Scottish literature. 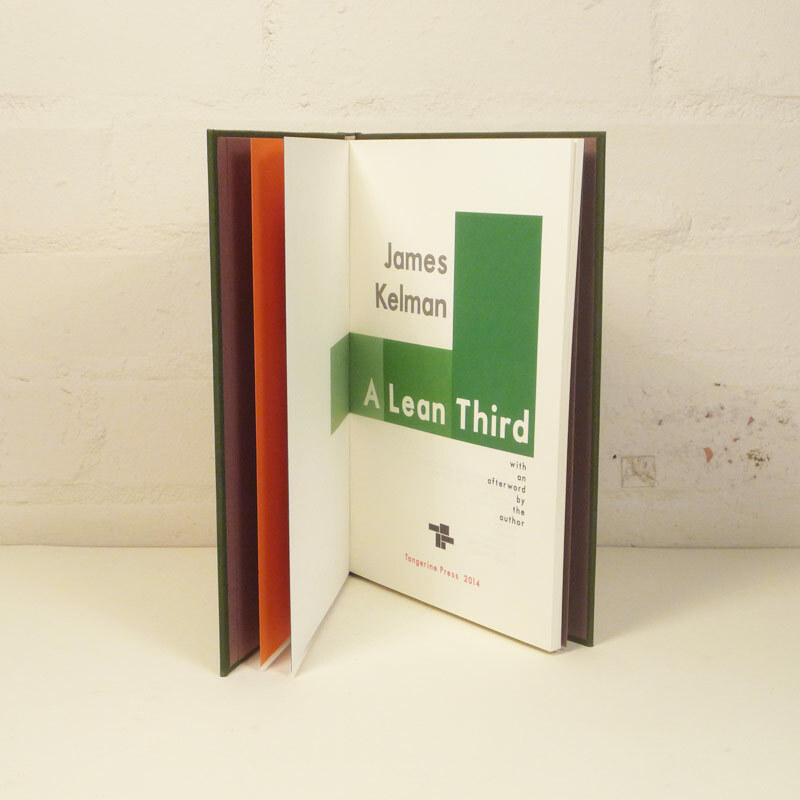 A Lean Third contains stories that were originally published in Lean Tales (1985), alongside the work of Alasdair Gray and Agnes Owens. The majority of the eighteen stories have been substantially revised by the author, making these 'new versions' of great interest to academics and fans alike. 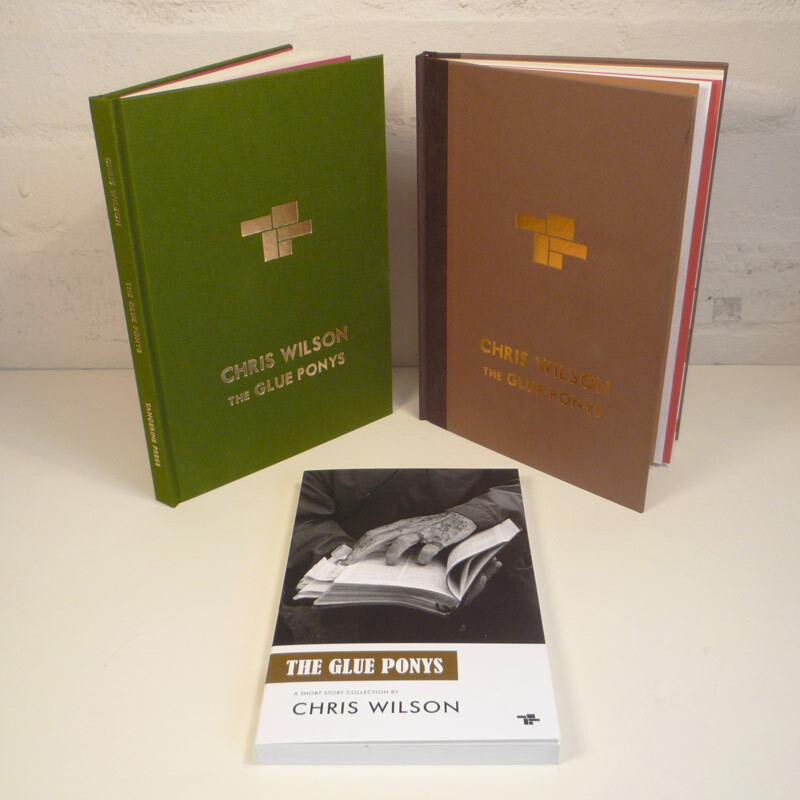 Of particular note is a 3000 word afterword, written especially for this edition. The author gives revealing insights into the background of many of the stories, his lifestyle at the time and writing methods, etc. A fascinating and essential new edition which Tangerine Press are extremely proud to be publishing. 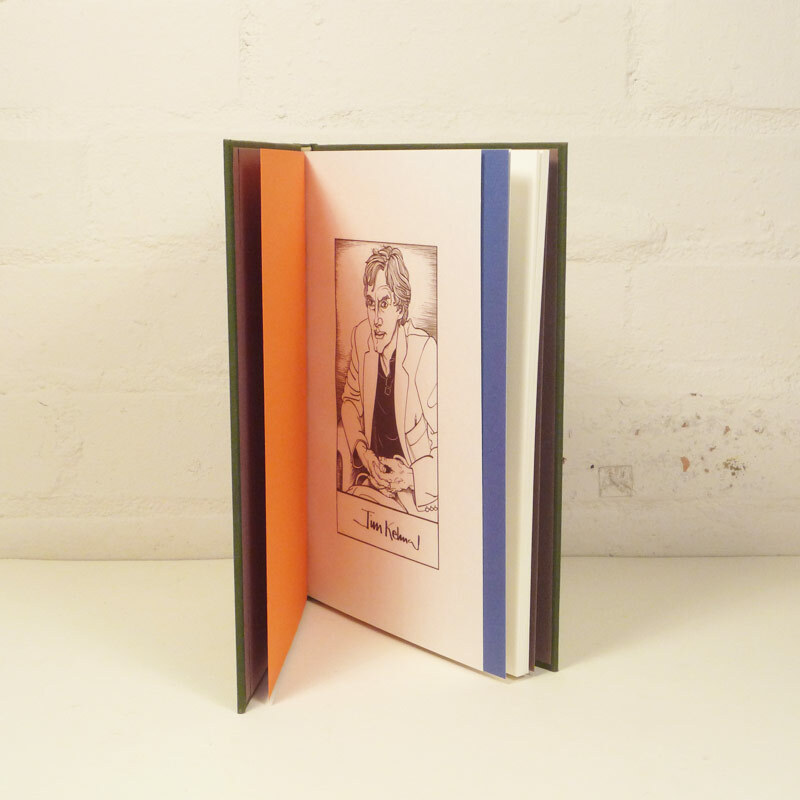 Includes reproduction of a woodcut of the author by Alasdair Gray. All copies include a b&w woodcut portrait of the author by Alasdair Gray. 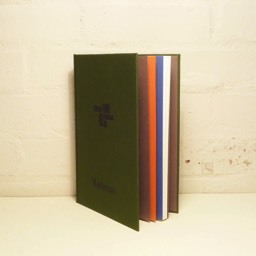 Fully bound in Colorado Green Tweed cloth; front cover artwork embossed in black; 3-page ‘stepped’ Canson Mi-Tientes front endpapers — the page colours being sepia, burst orange and royal blue; Canson Mi-Tientes sepia back endpapers; Heritage Book White archival quality, Fourdrinier made, acid-free text paper. 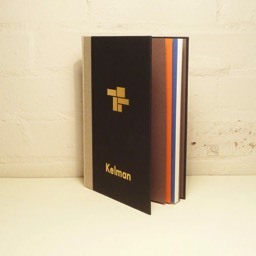 Quarter bound with Canson Mi-Tientes black paper covered boards, with Japanese silk/natural linen spine; front cover artwork embossed in gold; 3-page ‘stepped’ Canson Mi-Tientes front endpapers—the page colours being sepia, burst orange and royal blue; Canson Mi-Tientes sepia endpapers; Heritage Book White archival quality, Fourdrinier made, acid-free text paper. 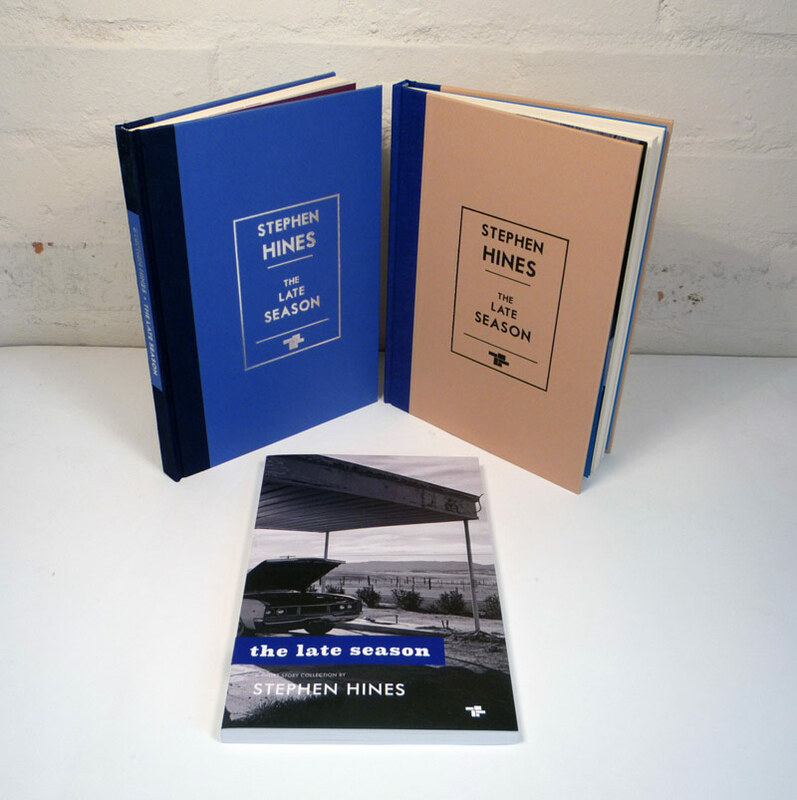 Fully bound in black 'with flecks' Japanese Silk; front cover artwork blind debossed onto the front cover; 3-page ‘stepped’ 160gsm Canson Mi-Tientes front endpapers—the page colours being sepia, burst orange and royal blue; Canson Mi-Tientes sepia back endpapers; Heritage Book White archival quality, Fourdrinier made, acid-free text paper. Slipcase bound in Black & Green streaked/lacquered Japanese Awagami paper. The letters K,E,L,M,A and N have been slipcased. 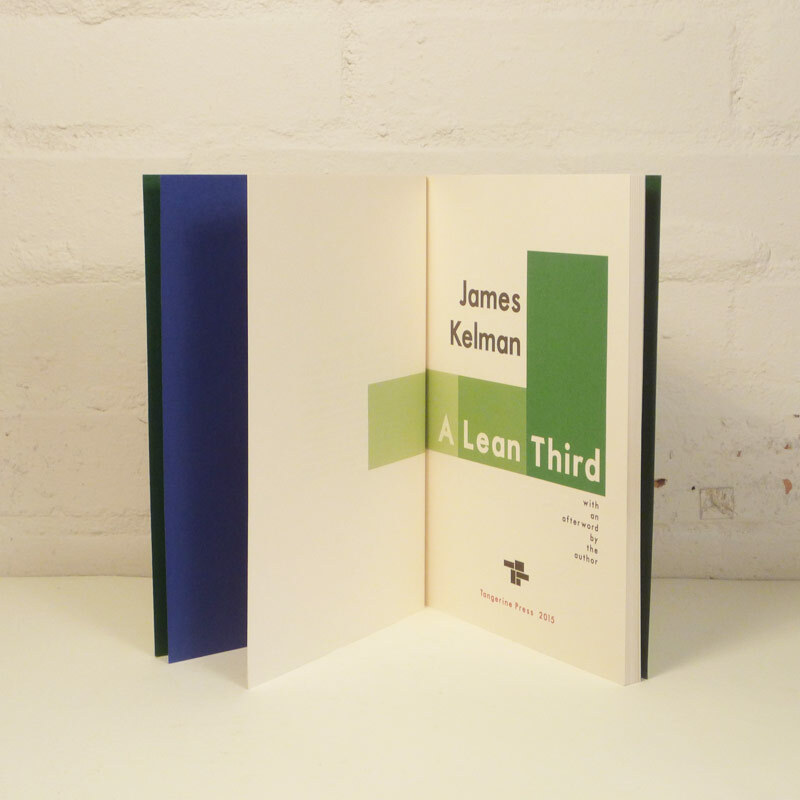 "If James Kelman ever receives the Nobel Prize, his short fiction will have been an important part of his achievement. 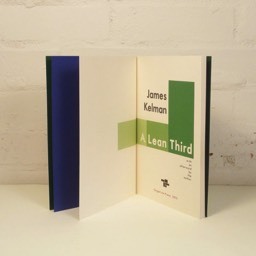 The wit and profundity (A Lean Third) contains will reward unlimited reading." "Kelman has always been an artist, and a highly conscious one. Whatever the social content of his work, he also makes art for art’s sake. The tone of voice sounds unforced and natural, but is never exactly a transcript of spoken language. It is finely wrought, artificial as an Impressionist’s still-life. He is a master of the brief encounter between people who may never see each other again, or indeed have any desire to do so. He is a poet of transience, catching the passing moment as it wings its way out of sight." Kelman’s reworked stories are an outstanding addition to an already stunning body of work." 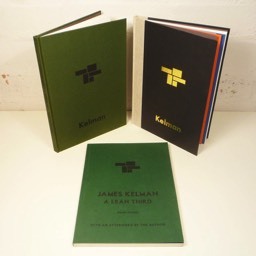 "Tangerine Press has produced a beautiful reissue of Kelman’s third. 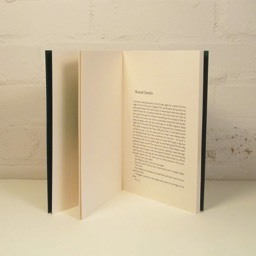 Each tale has been updated by the author, who follows them with a long afterword on writing, collaborating and the pressure to conform that has dogged his career (those at the BBC are “guardians of High English Culture who will commandeer the very nails from your fingers and show amazement if you offer resistance”). 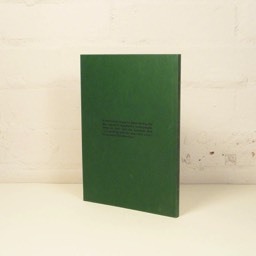 Here are snapshots of Scots abroad, nightlife, chance encounters, the thrill and buzz and sadness of working-class life." 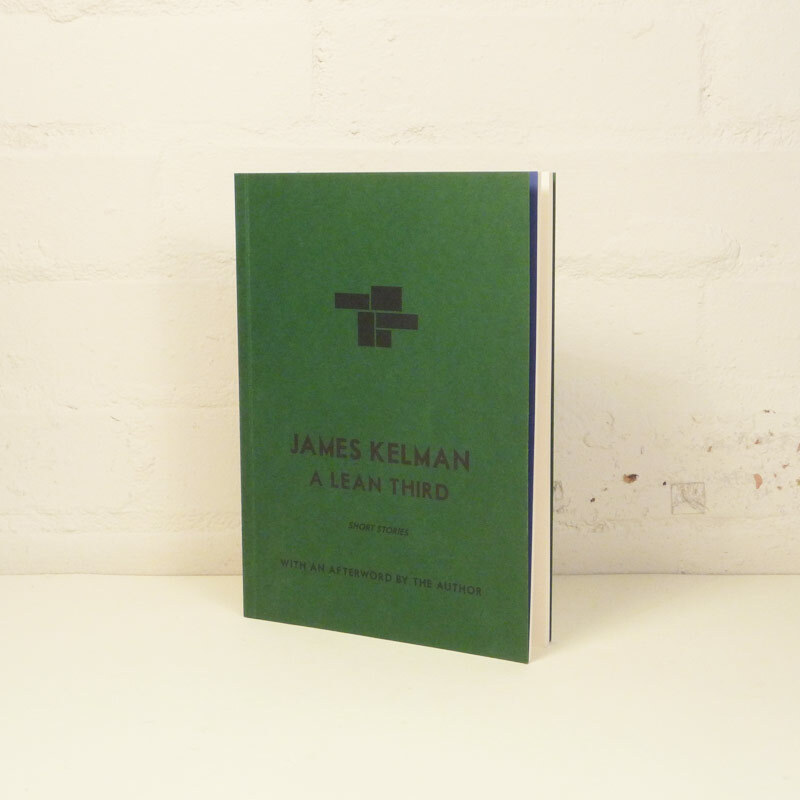 "Kelman suffers perhaps, in the same way as Beckett and Joyce, by not being recognised for his humour. These stories are narrated by people at the bottom or on the periphery. The style is plain. 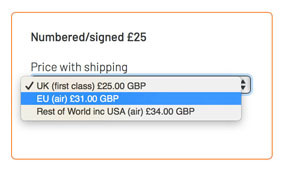 Perhaps that inclines readers to expect grimness. 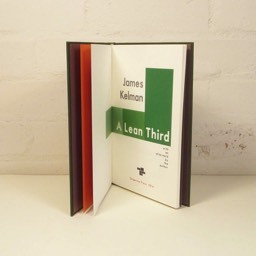 Kelman is, in fact, a very funny writer. His angle of narration is amusing. 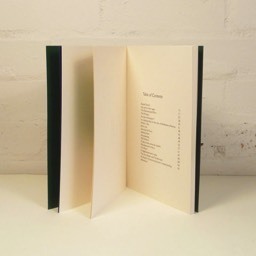 It comes from being unable to take contemporary reality, or at least that inhabited by his narrators, entirely seriously. 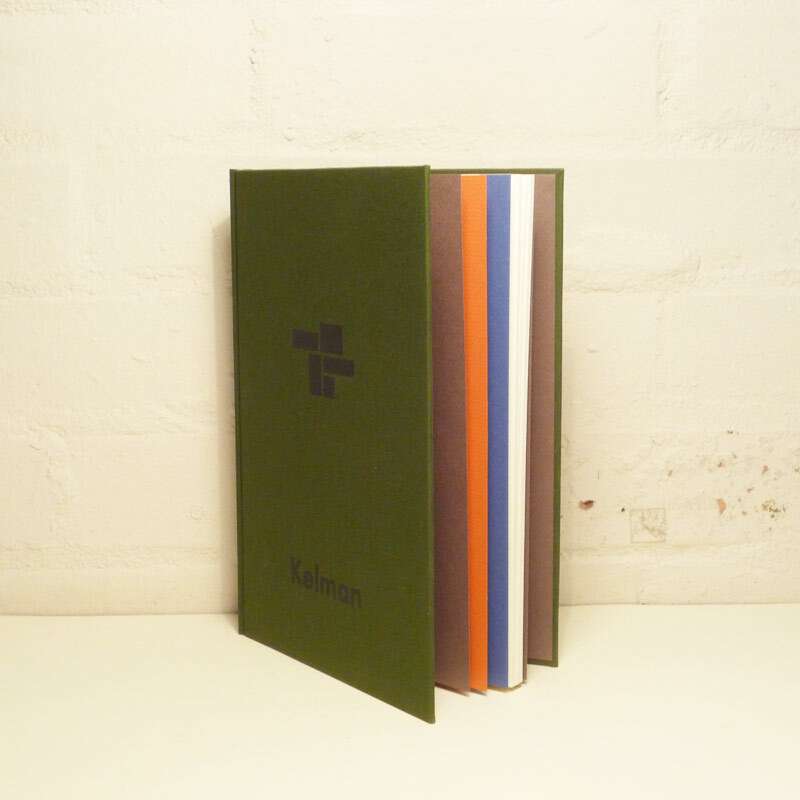 He gives it slant, as Emily Dickinson advised, but not merely oblique; he is disillusioned before he writes a word... Perhaps Kelman is more than just a literary genius." 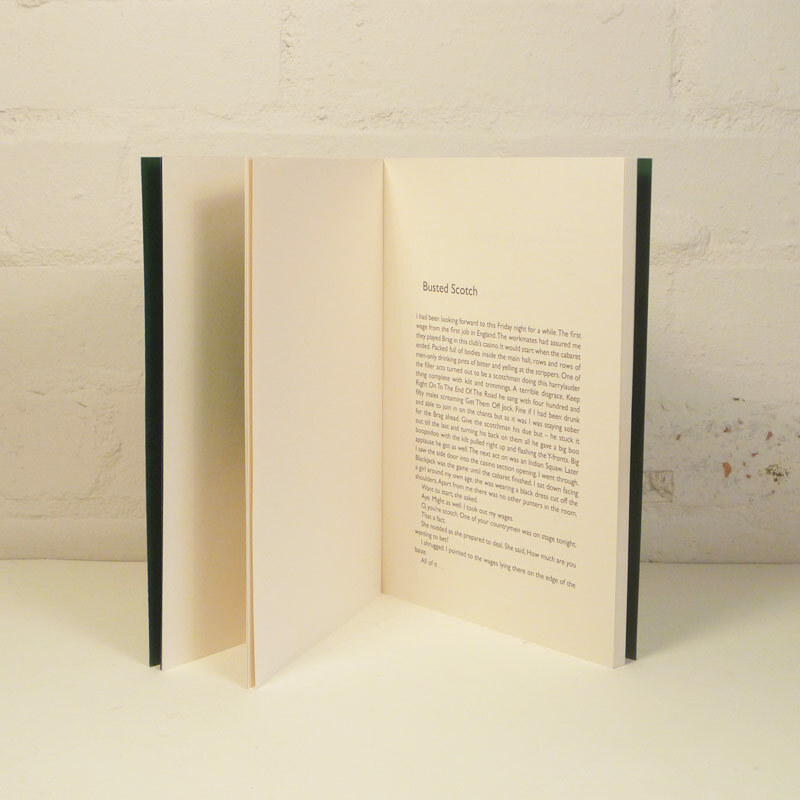 "These 18 stories are... the bare bones of a novel that was never written. The afterword, 3000 words of it, has been written especially for this very pleasing publication by Tangerine Press and even if you are not a devotee of the author's numerous works, feels like essential reading."